Fulton Alexander McKirdy (1874-1960) was born in Toronto, the youngest of eleven children. His father died when he was seven, and his mother moved to a farm near Wingham. 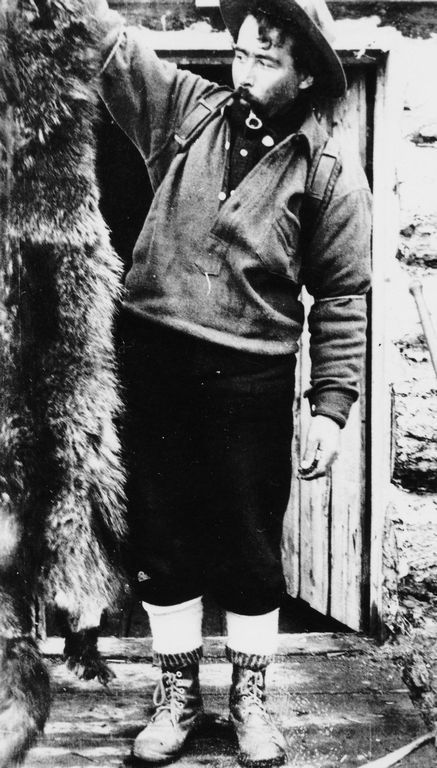 In 1884 Fulton went to live in Nipigon with a brother, who operated a guiding outfit and trading post. In 1896 he started working on bridges for the Canadian Pacific Railway, and two years later came west to work on the Crow’s Nest branch. Almost the whole crew contacted typhoid fever; McKirdy was one of the few to recover. In 1910 fires from the railroad right-of-way clearing and slash burning were spreading into valuable timber. McKirdy was appointed fire warden, reporting to Revelstoke until 1912, when the divisional headquarters were moved to Tête Jaune. 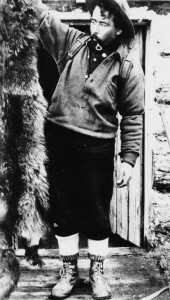 McKirdy became an assistant forest ranger in 1917 and remained in that capacity until 1940. After 1940, he became a forest fire look-out, first on Mount McLennan, Birch Island, and then on Tum Tum Mountain until his retirement at age 82 in 1956. In 1919 McKirdy married Margaret Waite (1900-1983), who had come from Vancouver to Swift Creek in 1918 as a schoolteacher. In 1923 he was appointed justice of the peace. Many descendants live in the Valemount area.